Attention to Compliance Bolsters Fleet Solutions | WEX Inc. Founded on January 1, 2000, The Federal Motor Carrier Safety Administration (FMCSA) was established as a separate agency within the United States Department of Transportation. The organization was formed following ruling of the Motor Carrier Safety Improvement act of 1999. In an effort to reduce crashes, injuries and fatalities involving large trucks or busses on the nation’s highways, the organization was put in place to regulate fleet solutions and the United States trucking industry overall. 1. Measure: The SMS (Safety Measurement Systems) uses data from roadside inspections and crash reports from the last two years, and data from investigations to identify carriers with safety performance and compliance problems for interventions. 2. Intervene: Investigators are equipped with a variety of interventions to contact and work with motor carriers that have safety performance and compliance problems. 3. Evaluate: The SFD assesses the safety fitness of motor carriers to help FMCSA remove carriers that are unfit to operate from our nation’s roads. Electronic Logging Device (ELD) mandate– This law requires all interstate motor carriers to have their trucks equipped with electronic logging devices. CSA Basic Scores –The Federal Motor Carrier Safety Administration (FMCA) compiles and publishes compliance, safety, and accountability (CSA) data that is used to rank and prioritize motor carriers for possible intervention. Increasingly, insurers are using the CSA data to make underwriting and pricing decisions, according to USI reports. For example, a high CSA rating could affect rates because it might indicate that a driver is a high risk. Food Modernization Safety Act (FMSA-2016) –This law also is creating additional liabilities for motor carriers transporting human and animal food products, according to USI. It requires shippers, loaders, carriers by motor or rail vehicle, and receivers to use sanitary practices to ensure the safety of the food. The regulations are having significant impact on the industry but not necessarily in the negative ways that one might assume. Even people outside of the trucking industry have either heard or experienced the critical need for reduced driving hours for anyone behind the wheel of a large, long haul vehicle. Many drivers and fleet managers have actually welcomed the ELD mandate. Prior to the mandate, drives have frequently been warned to limit hours and to take numerous breaks. Now failure to adhere to the hours of service regulations could result in higher consequences than ever before for the driver, the carrier and sometimes even the shipper. Drivers are beginning to embrace the requirement because although it means less hours, it also means a healthier lifestyle. Trucking companies are answering the consequences of decreased driving hours by offering higher wages. Fleet solutions are becoming more robust due to the regulations that are pushing them forward. Failure to adhere to hours of service regulations, as exhibited within each truck’s ELD, could result in stiff penalties and fines against the trucker, carrier and even shippers. Similarly, this equates to lower wages for truckers, so they will demand higher wages or look for alternative employers. — Michael Levans of Logistics Management. Increasing pressure for deliveries within the limited mile scenarios will put pressure on carriers to offer services beyond what has become traditional practice. Facing the additional pressures of the driver shortage and increased demand, carriers are rethinking strategies and services in order to keep up with a changing market? Many of these carriers are partnering with fleet solution provider EFS to meet the demand. EFS can help in the cumbersome process of compliance particularly where fuel tax reporting and permitting are concerned. EFS’s Fuel Tax solution is a full-service reporting solution that assists in capturing and preparing required IFTA, IRP, and individual state fuel tax reports. Never worry about tracking, calculating, and reporting fuel tax again. EFS takes care of the work for you, so you can focus your attention on more important things. Our Fuel Tax solution uses state-of-the-art technology to provide the most accurate fuel tax automation software in the industry. Real Time Processing: Save valuable time auditing and reconciling fuel spend with real-time reporting and analysis. Routing Technology: Many automated fuel tax services use simple calculations to determine distance traveled. Unfortunately, these types of practices could end up leading to significant penalties and fees in an audit. EFS Fuel Tax integrates with industry-leading mapping and routing providers in order to re-create actual routes of travel that will satisfy any audit. Universal Integration: The EFS Fuel Tax system was built with customization in mind. When it comes to selecting a fuel card, dispatch, or GPS solution every carrier has different needs. That is why it is necessary for solutions to have integration capacity in order to automate the collection of data, saving valuable time. Specialized Support: EFS Fuel Tax was developed and built by industry professionals. Years of regulation, auditing, and compliance experience enables personalized support with clear understanding of specific business, challenges, and needs. The goal is to provide peace of mind that fuel tax reporting is accurate and on-time. This EFS fleet solution is an Internet-based permit service allowing fleet managers to submit trucking permit orders online anytime. Once an order is submitted, tracking tools provide visibility to the permit status in all phases of the ordering process. Simple integration enables systems to automatically update tractor and trailer information and facilitates a fast and easy ordering process. EFS also provides reports that help reconcile permit expenses and show all permit activity. INNOVATIVE TECHNOLOGY – World-class systems and technology help to simplify complex business payments. INDUSTRY EXPERIENCE – After 50+ years of serving the industry, EFS understand payments and fleets. UNIVERSAL ACCEPTANCE – Fleet card solutions accepted at over 15,000 truck-stop locations across North America. VISIBILITY AND CONTROL – Visibility, actionable insights and control help to focus on taking business to the next level. INDIVIDUALIZED APPROACH – Customized solutions to make sure payments work for you—and not the other way around. FORWARD THINKING – Bringing the future of commerce to customers today and creating innovations that become the standard for all industries. As regulations and compliances expand, the industry is finding ways to evolve along with the requirements. Behavior is changing for the better and it is not just the drivers. With strategic partners like EFS, carriers and fleet owners are learning how to manage the people and the processes. But most importantly, they are developing ways to stay on top of compliance through awareness, technology and systems. Schench Education Center has outlined some critical best practices that will help to satisfy FMCSR mandates and save money as well. 1. Conduct a simulated DOT audit: It is always a good idea to conduct a thorough simulated DOT audit at least once per year.Deterioration of files is a common problem. 2. Complete daily vehicle inspection reports: Late in 2014 regulations changed such that daily vehicle inspection reports (DVIR) are no longer required when there are no safety defects detected on a vehicle. 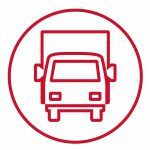 A driver is not required to prepare the DVIR if after their post-trip inspection he or she has not identified any safety defects. 4. Organize your PM files: Regarding preventive maintenance files, if you should happen to be the subject of a DOT audit, you can help facilitate the process by organizing your files, so you can give the auditor what they are looking for quickly. 5. Take note of the short-haul exception: The short-haul exception, often referred to as the “100-mile rule,” has been applicable for decades but still is not utilized by many carriers that would qualify. This is an exception from the requirement to record hours of service on a graph logs sheet (or now with the electronic logging device, or ELD), and eliminates the need to prepare the electronic logs if the driver can meet certain conditions. 6. Monitor safety performance history: In October 2004, the Federal Motor Carrier Safety Administration (FMCSA) mandated that you request a safety performance history(reference check) from all employers for which a driver drove a commercial motor vehicle during the previous three years. Set performance expectations and standards in some form of apolicy. Thoroughly trainall employees on their responsibilities and KPIs. Monitoractual performance and compare with the above expectations. Identify excessive variances and take “meaningful action”to bring the employees back into acceptable performance. This is normally referred to as a progressive disciplinary process involving verbal warnings, suspensions and terminations. It is usually similar to a “three strikes and you are out” process. 9. Check your CSA score: CSA scoring is generated from roadside inspection violations (or warnings), accidents or DOT audits. Monitor these scores closely and note violations as they occur. Drivers must turn in all roadside inspection reports within 24 hours. If there are violations noted, you must certify within 15 days that the repairs or driver issue has been resolved. While government regulations might seem complex and always changing, the industry is consistently finding ways to address the challenge. As fleets are growing and the sector is evolving, strategies and best practices like these will bolster and inform fleet solutions that benefit all involved.